Builder Specialties (BSI) has proudly served builders and homeowners in the Atlanta area for over 50 years. 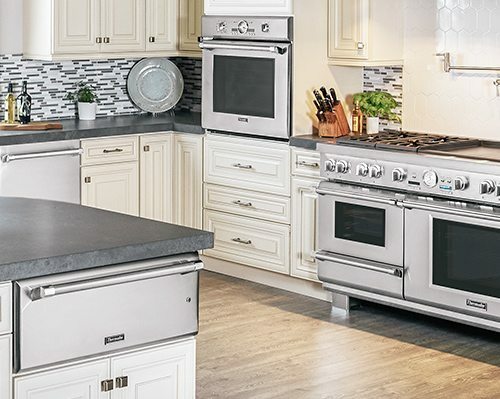 Since 1967, BSI has expanded its product portfolio and showroom locations to offer customers a selection of home solutions, including appliances, fireplaces, mantels, garage doors, outdoor kitchens and more. The company became a part of the Construction Resources family of businesses in 2015, merging a standard of excellence and experience. Recognized as one of the largest distributors and some of the best showrooms in the Southeast, Builder Specialties features the most recognized brands in the industry. We offer a large inventory and quick availability from our 150,000 square foot distribution center. Our experienced production managers understand the importance of tight schedules, job safety, and on-time completion. Our delivery and installation teams are factory trained and certified to provide a complete solution to the individual project. Finally, our service teams provide product service after job completion to provide a lifetime of enjoyment. in appliances, fireplaces, garage doors, and outdoor living products to trade professionals and homeowners. Want to stay up to date with Builder Specialties? Do you sell products from your web site? We do not currently support online transactions through our website. Please email, call or visit us to finalize your order. Do you sell to homeowners or just to builders? We’re happy to work with homeowners and builders. We can help you choose products for a new home, upgrade or renovation. To provide you with the best service, we encourage you to schedule a consultation in advance. However, we appreciate your busy schedule and will accomodate drop-ins. Which of your products do you install? Yes, appliance installation services are available from qualified professionals. How do I find appliance service in metro Atlanta? Click Here for a list of service providers for the products we carry.